If you have a blank screen and windows detects your tablet somehow, install the drivers which are provided with the rockchip flashing tool. EDIT 2: Download failed I'm not having much luck, am I? if this does not work, you will have to use an older rockchip flasher to erase the nand. I'd try it again, let it download, test, etc, wait till you get the 'download failed' message, then just try and turn your tablet on, see how much memory you have. Unfortunately, I only have the Archos USB cable and one from my ZTE Blade phone. And I've tried the USB ports the back of the PC. I'm also trying Rockchip v1.4 instead of v1.5 (tried v.16 but apparently I need an x64 version, which I can't find). 'Check Firmware' ... 'Restore Done' ... Carbon has rebooted and the firmware has installed, albeit it did take a while. I'll check the free space in a second... I made a bit of a faux pas, as I accidentally restored the original firmware form a backup, prior to installing the custom firmware.. so I have to go trough the initial setup again. IT WORKED! I now have the 2Gb partition.. after all this hassle, haha. Many thinks Neil_K... that helped me a lot, saying the device WAS in Flash Mode when it looked like it wasn't. And embarrassingly, I missed the part in the tutorial about the Unidentified Device... I only spotted it about a few minutes ago. I'll be sure to thank those who help me out! I have flashed too, it's working very well except Chrome and google Earth, anybody can fix them? Chrome has only just become available for the 97 Carbon, for ages it wasn't compatible, even though we run ICE and it should work. Note, it should work, but it doesn't. I get a blank white screen with a wedge of black popping up from the bottom left of the screen, I take it you do too? You're not missing anything, it's pretty much the same as the default browser. So I reckon we'll struggle to run it until Jelly Bean is available, or Chrome is fixed. I do have one question, though... IF.. 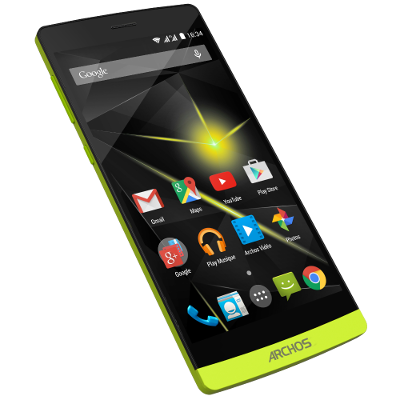 IF Archos release any new firmware for the Carbon, can it be installed without overwriting this Custom firmware? Or should we ignore any new Carbon firmware updates and wait for the updated versions of the Custom firmware? It depends on which form the new firmware comes. If it's an update.img style update, it will overwrite current custom firmware. If it's an update.zip style (usually smaller file) it's usually easier to keep installed configuration including root. In any case, I should be able to rebuild and publish a new custom firmware with the update. I'm not sure ARCHOS will provide new updates for the Carbon though. Hello! If I use this rooted flash, my Archos 98 carbon will recognize modem Huawei E3131 ? hi all thanks for this was getting frastrated by my device running out of room. seems to run much better too. instalation worked first time once i got the knack of entering the flash mode!! me being a little dim i guess. though Chrome does not want to play it installs when you run it it seems to hang!! anybody else had this? I use the Carbon 97 with its stock firmware. There was always a problem with Chrome, the app installed and started alright, but then chashed and was not going at all. The last update v30 seems to fix this. It crashed a couple of times on the beginning (multiple tabs, loging into youtube etc) but seems to work good for now. I'm on Carbon 97 with the stock firmware and Google Earth and Chrome never worked. Since the latest update v30 Chrome seems to work now. I stopped trying new Google Earth releases though. Gave me a bit of trouble but I finally made it..Flashed my 97 Carbon and it runs great..Thanks to all for your help and info!! !